I dont know any news, so will sign off. Come down sometime if you get the chance. 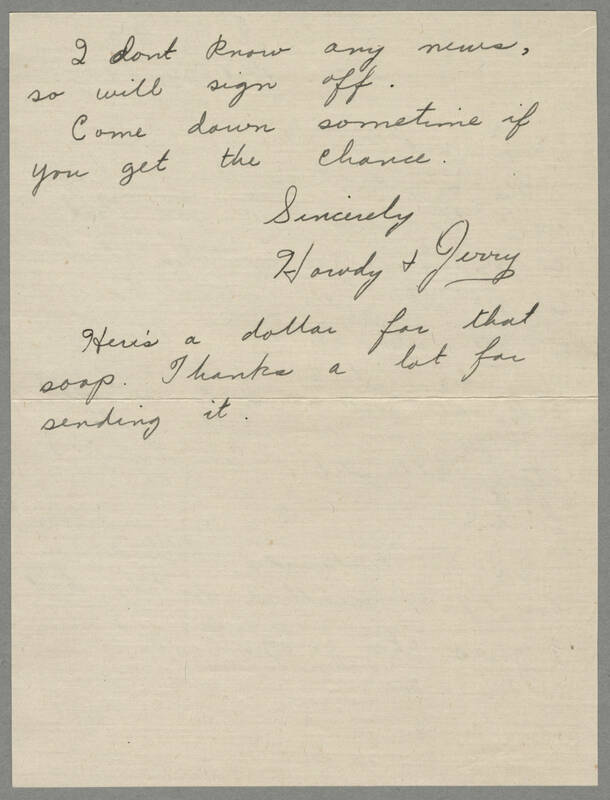 Sincerely Howdy + Jerry Here's a dollar for that soap. Thanks a lot for sending it.